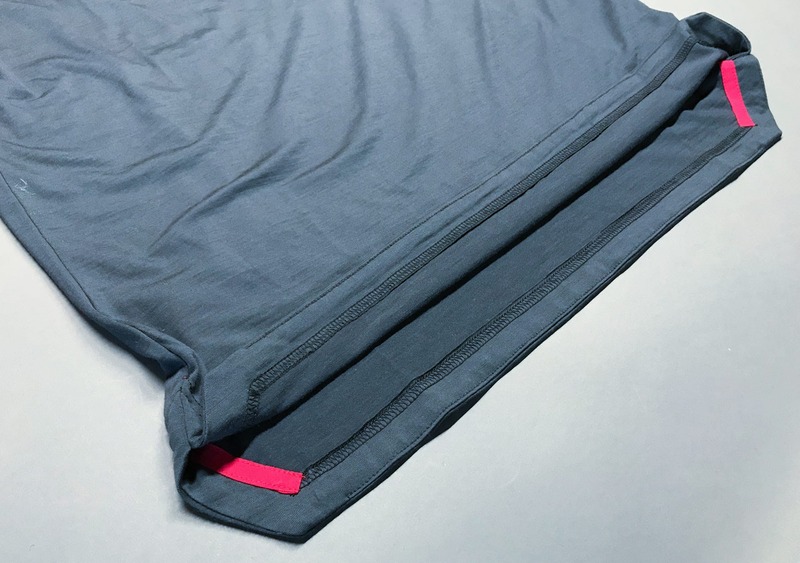 In this review, we’re checking out the Western Rise Strongcore Merino Pocket Tee. As any seasoned traveler will tell you, merino t-shirts are an absolutely essential piece of kit if you’re doing any long term traveling. They’re comfortable, durable, and most importantly, they only need to be washed once in a blue moon. This particular shirt from Western Rise is a fairly standard pocket tee. 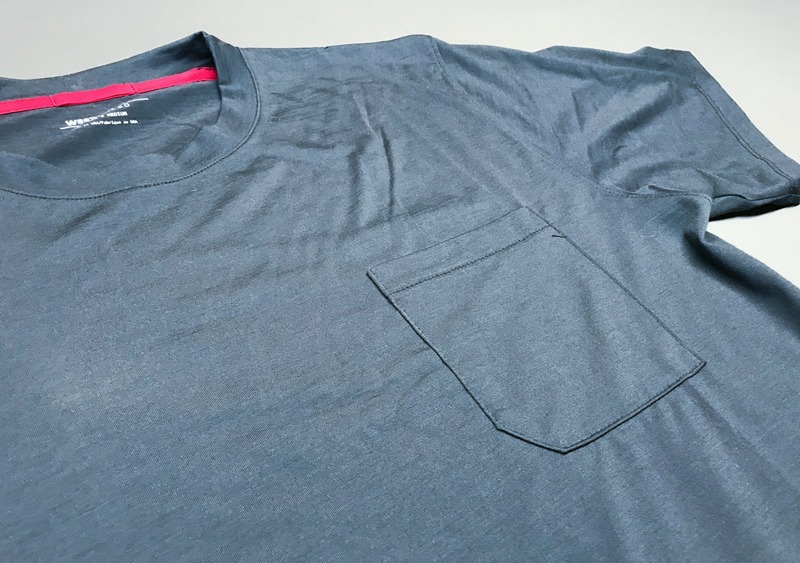 Believe it or not, it’s actually pretty hard to find merino t-shirts with pockets, so we were pretty psyched to find this one. And yes, we do get psyched about pockets on t-shirts, and you should too—it’s the perfect blend of function and style! First impressions of this shirt were good. It’s soft, it has the look and feel of most merino wool t-shirts—soft, and it looks like… a normal t-shirt. We did notice that the fabric is sort “2-ply.” It just feels like there are two layers of merino wool, and you can actually see those layers at the seams. We don’t feel strongly about this one way or the other—it doesn’t seem to impact the feel of the shirt too much. The fabric blend is 89% merino wool and 11% nylon. That 11% nylon should add some durability without losing any of the great merino wool properties. Like most merino wool products, this blend is pretty great at regulating body temps—so it should keep you at a comfortable temperature regardless of your surroundings. Well, assuming your surroundings are within reason—please bring along a jacket if you’re headed into a blizzard. This is just a t-shirt. So while that nylon does add some durability, we do have one glaring issue that needs to be brought up. No need to beat around the bush here—within a week of unboxing this thing, the pocket started to rip at the seam. This isn’t really a problem with the fabric itself, but the craftsmanship. The sewing of this seam is pretty weak. Is it the end of the world? No, of course not (it’s a pocket). But we were pretty shocked to see this on what is supposed to be a high-quality, highly-durable shirt from a popular brand. Moving past that, the only real “features” on this shirt are the two V-cuts on the bottom, which we found to be a nice addition. This gives the shirt a slightly more relaxed fit—you don’t have a “tube” of fabric around your waist. There is also a nice red loop on the neck, which you can use for hanging this shirt up. If you’re going to hang dry it, we’d recommend using some clothespins to hang it flat as it isn’t going to dry very well if it’s all scrunched up, hanging off that one loop. The Coveted Merino Wool Pocket Tee! Overall, this is a nice shirt. It’s comfortable and it has all those great merino wool properties we are looking for in a travel shirt. 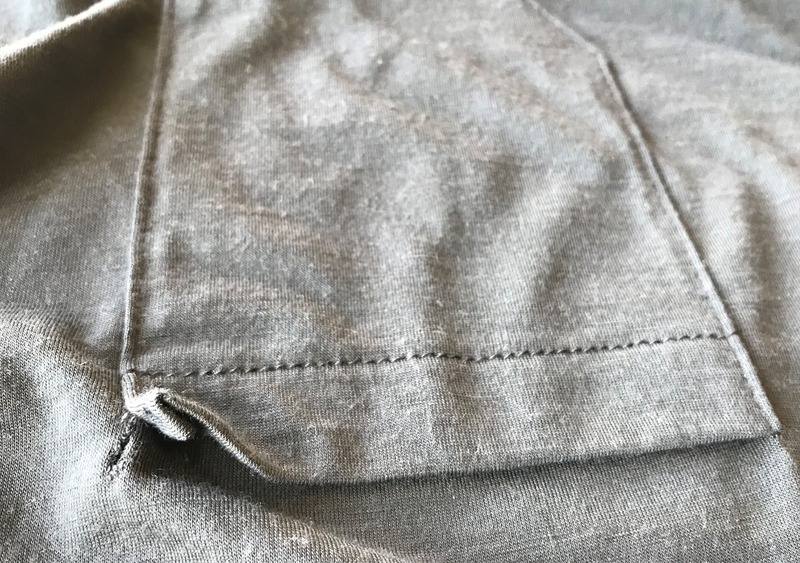 Even the durability issue with the pocket is something we could brush aside… If the shirt wasn’t priced so high—right around a hundred bucks at the time of this review. To have a pocket rip off of hundred dollar t-shirt within a week is unacceptable. 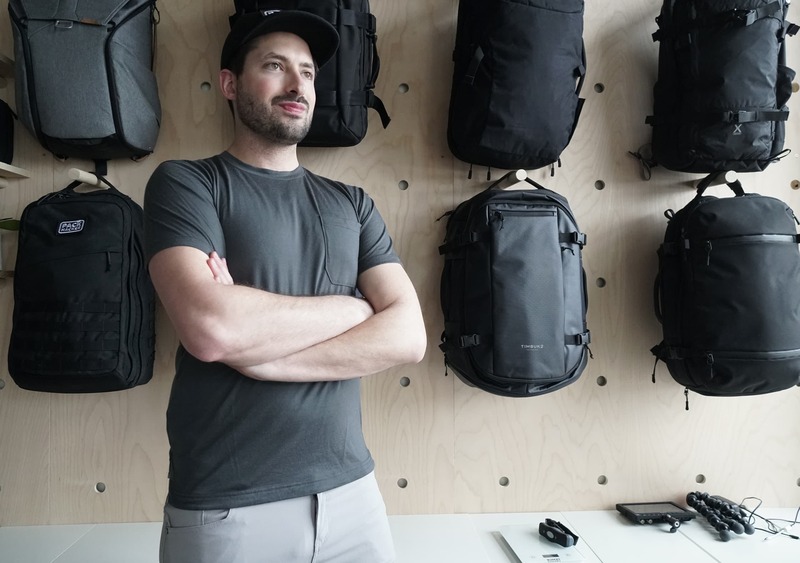 This is, unfortunately, a common theme we’ve been finding with Western Rise’s gear—it feels good and looks good, but the quality is just a bit subpar considering the higher-than-average price tag. Check our review on their henley to see what we’re talking about. We did find that the AT Slim Rivet Pants from Western Rise are pretty great though. 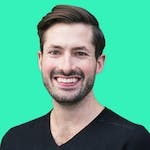 When we spend that kind of money on a t-shirt, we’re expecting it to be the most comfortable, most durable t-shirt out there. In this case, the Strongcore hasn’t lived up to those expectations. Looks and feels great, but the pocket is starting to come off after just a week of use. Not good. It’s really not looking good for the pocket, a real shame. 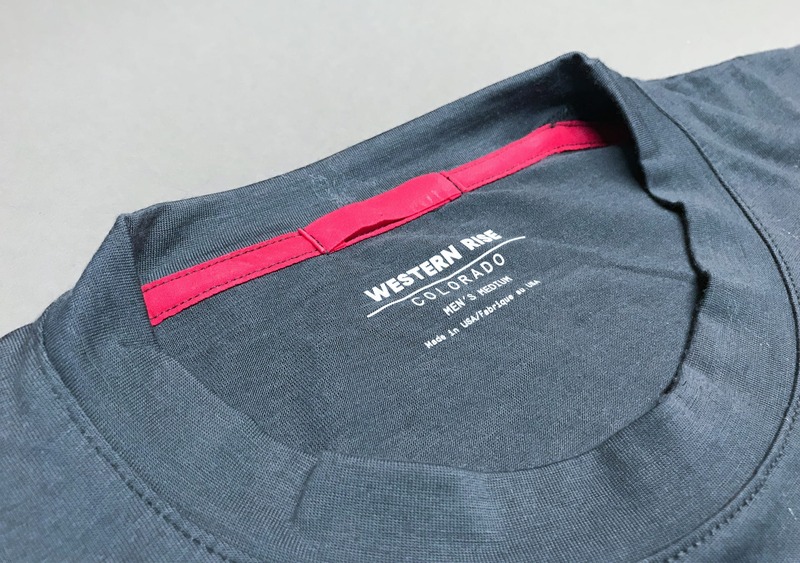 The Strongcore Merino Pocket Tee from Western Rise has the potential to be a great travel t-shirt. It’s comfortable, it’s got a great merino wool blend, it looks great and feels even better. 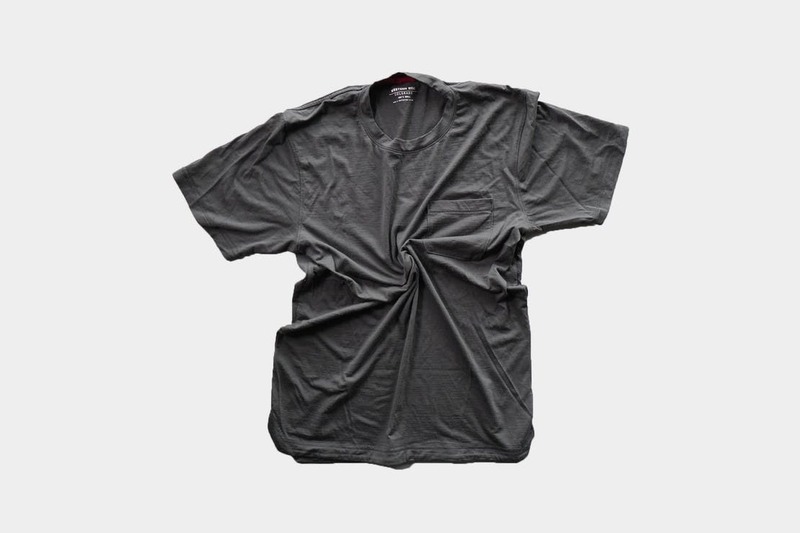 But after just a few weeks of usage the durability doesn’t seem up to par—we are pretty skeptical as to how long this shirt will last. Seeing as this is one of the most expensive t-shirts we’ve tested, we can’t say that the quality matches the price.